There is a distinct touch of Autumn in the air.... well at least early morning and evening. The sun has lost its sizzle, the light is creamier and softer, shade and shadows tie a change of look to the garden. The cottages offer a quiet retreat.... foodie magazines to flip through, the patina of old silky oak and pine furniture and the green surrounding hills. 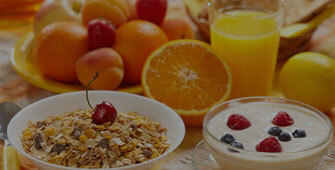 Head to our NEWS PAGE >> FOR A 3 DAY PLAN! Autumn has arrived. The afternoon sun streams into the lounge room at a different angle, softer and less harsh, illuminating silky oak to show its honeyed grain. 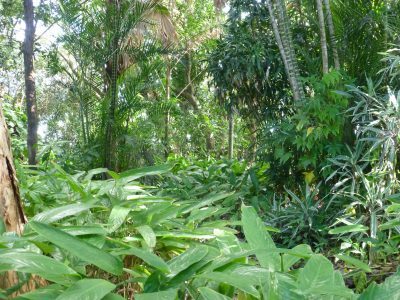 The rain forest garden is leafy and green, just a touch of red and purple from the Ixora and Ginger. The Cellar Door spills out onto the shady Verandah, welcoming you to escape the bustle of the outside world. 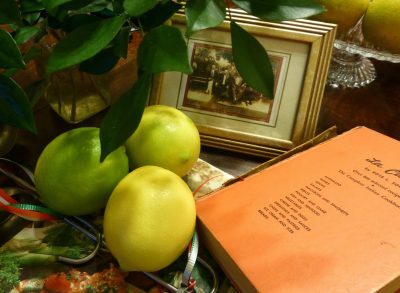 With MAY almost on our doorstep, it's time to get cracking on preparations for our ANNUAL CELEBRATION of THE FEAST OF THE 3 SAINTS and Terry's Sicilian heritage. It's a good excuse really to shine the spotlight on all things Italian. 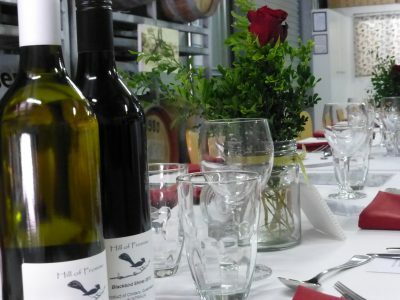 Mark SUNDAY 5TH MAY on the calendar and cancel anything else you might have organised for that Sunday and come and join TERRANZO THE WINEMAKER and MARIA THE LITTLE CELLAR RAT for a 3 course Italian inspired LONG TABLE LUNCH IN THE WINERY, washed down with our outstanding wines, sparkling and liqueurs. 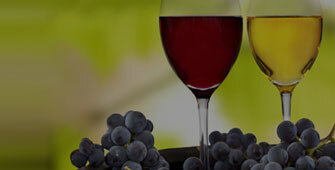 Contact the Little Cellar Rat for details about plans for a Winery Experience for your group. What more do you need for a great getaway! 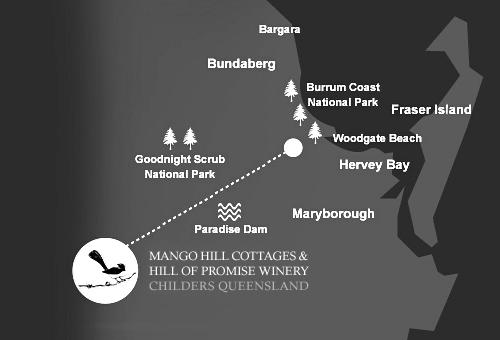 Welcome to Mango Hill Cottages & Hill Of Promise Winery. Mango Hill Cottages is a Bed & Breakfast accommodation establishment situated just south of Childers, Queensland, Australia. Hill Of Promise Winery is the perfect holiday attraction while visiting the area. Wine tastings at the cellar door are free so bring along a picnic basket - or even something as simple as a loaf of crusty bread and cheese- to enjoy after a tasting. Childers, ideally placed half-way between the regional towns of Maryborough and Bundaberg, is on the Bruce Highway, three and a half hours drive North of Brisbane, making it perfectly situated to explore the beauty of South East Queensland. Mango Hill Cottages offers the chance to escape to the private cosiness of your own timber cottage and enjoy the warmth of traditional, country hospitality at the same time. We love our little patch of the planet and we would love to share it with you - even if only for a slice of time! Call us now on 1800 816 020 or 0408 875 305 to enquire or make a booking - we look forward to welcoming you as our guest! This was our second stay here and just as wonderful as our first. Hi Mary. Your cottage is a very quiet and calm place. We really enjoyed our stay. Watching the full moon from the front verandah was a highlight. HEAVEN IS A LOVED ONE AND BOOKS TO SAVOUR! We all lead such busy lives and the chance to disregard the time, sleep when you want, talk and read and laze about with a bottle of wine and a good read. A Queenslander verandah with a view to green hills and fat cattle grazing, the occasional birdsong and perfume from the lush garden … just the ingredients for a salve for the soul. Thanks Mary and Terry. Deon and Gabrielle January 2018 North Burnett. Relaxing... tranquil. Thank you, Mary and Terry, for such a lovely stay. It's been so relaxing and very tranquil. L and C April 2018 H Bay. WE WANTED SOMEWHERE SPECIAL FOR SOMETHING SPECIAL AND IT WAS! Hectic lives, busy jobs, kids..... need somewhere not too far away but relaxing. Quick phone call to Mary had a few plans put in place. We both enjoyed some 'just us' time. Wine tasting, easy meal on the verandah watching the night sky. Hmmm.... life's pretty darn good. Thanks, Mary and Terry.